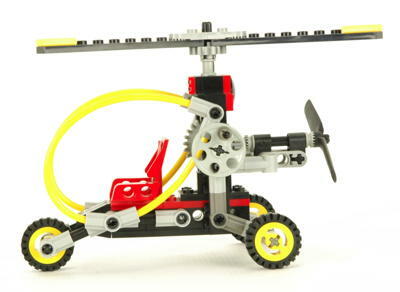 The 8215 Gyro Copter was the first and only Auto Gyro in the Technic line-up, although arguably it is actually some sort of hybrid helicopter instead. 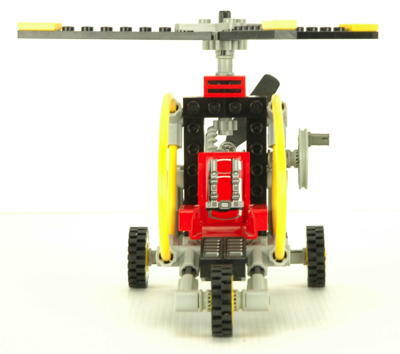 In a real auto gyro the main rotor is not powered but auto-rotates as air flows over it. 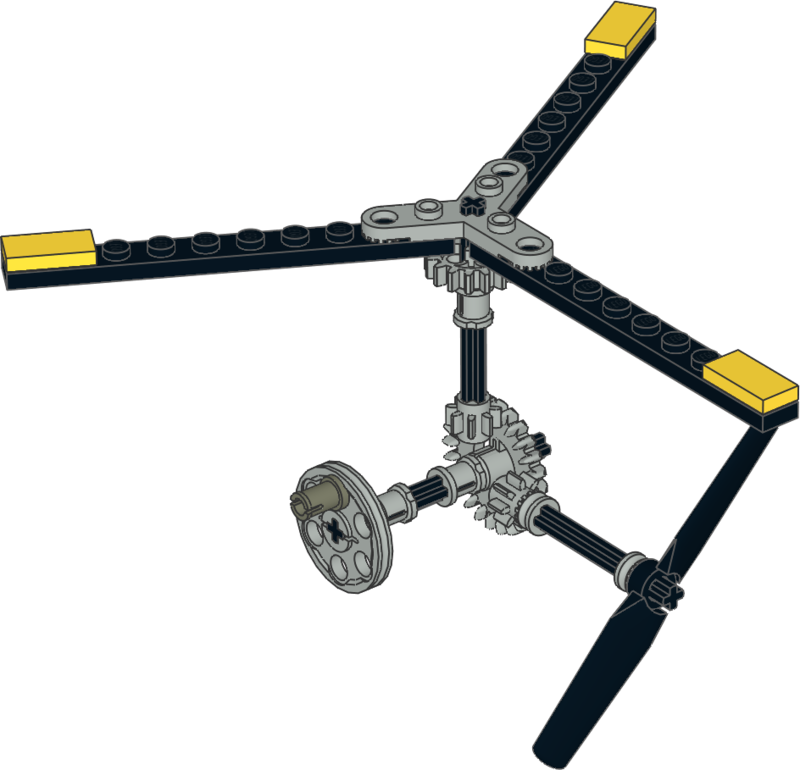 It is therefore as analogous to a wing as to a rotor. 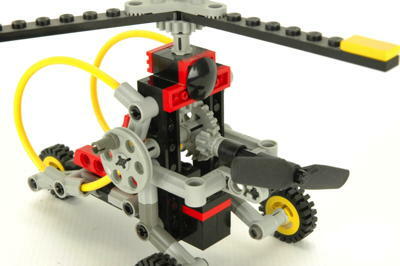 Forward thrust is provided by a traditional longitudinally mounted propeller. 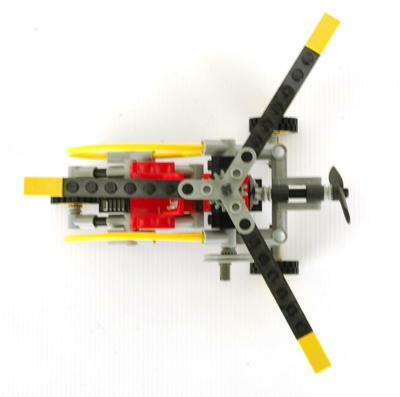 In the case of this model, both the rotor and the prop are geared together. The model uses uncommon yellow flex tubing as a curved cockpit. 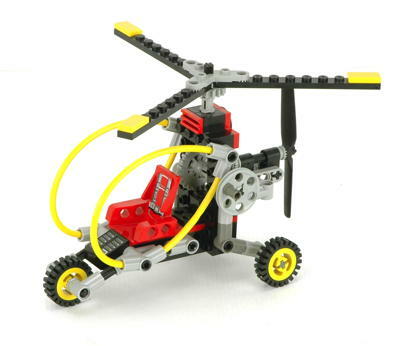 The cockpit is scaled for a Technic figure although the model does not include one at this low price point. 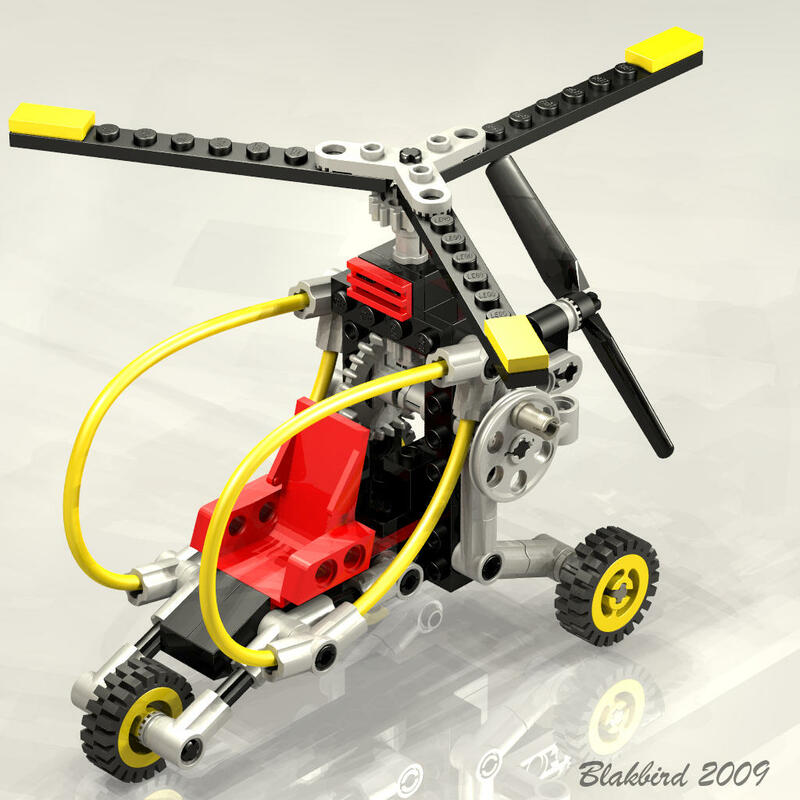 This is an example of one of the very simplest Tech Play models designed for a beginner Technic audience. 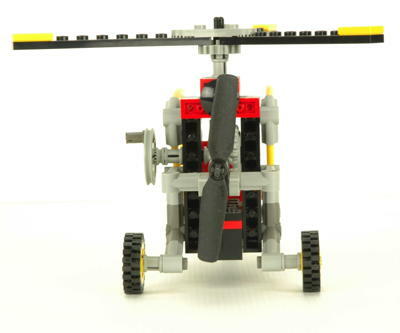 The main rotor has 3 blades and uses the Technic rotor hub to construct the blades with plates. The prop is a specialized monolithic part. 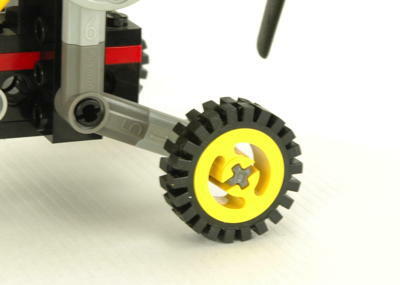 The tricycle landing gear uses old standard pulleys and tires. 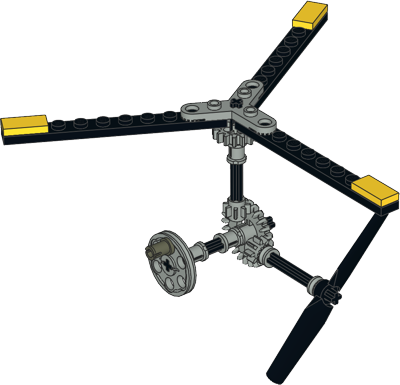 The whole undercarriage makes extensive use of the new angle connectors.